I’m not sure if it is quite right to publish recipes for chicken on a site that serves to honor, love and cherish chickens. On the other hand I honor, love and cherish Chicken Salad. So, we just won’t worry about offending the flock, they can’t read anyway. 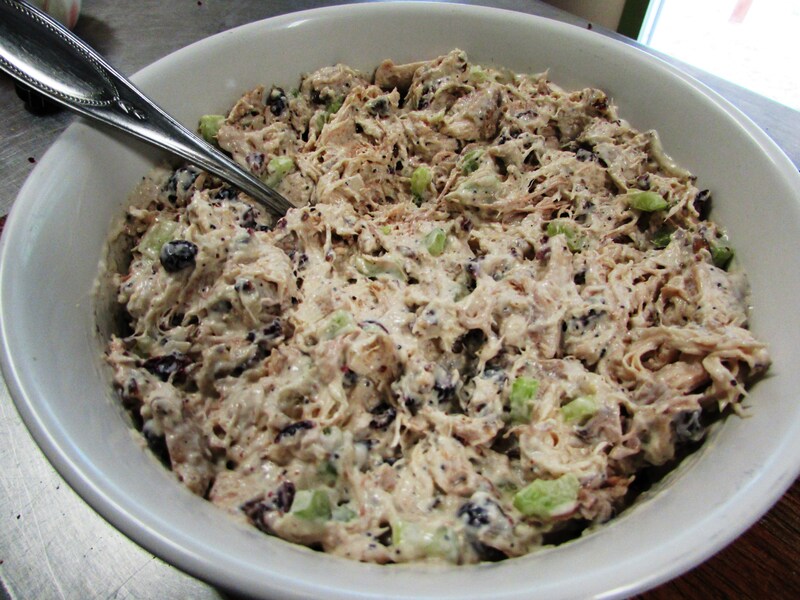 Chicken Salad is a funny thing, everyone seems to like their own the best and the ways to produce it are endless. The following is the version I have come up with after eating many pounds of chicken salad from many different cooks, relatives and friends. 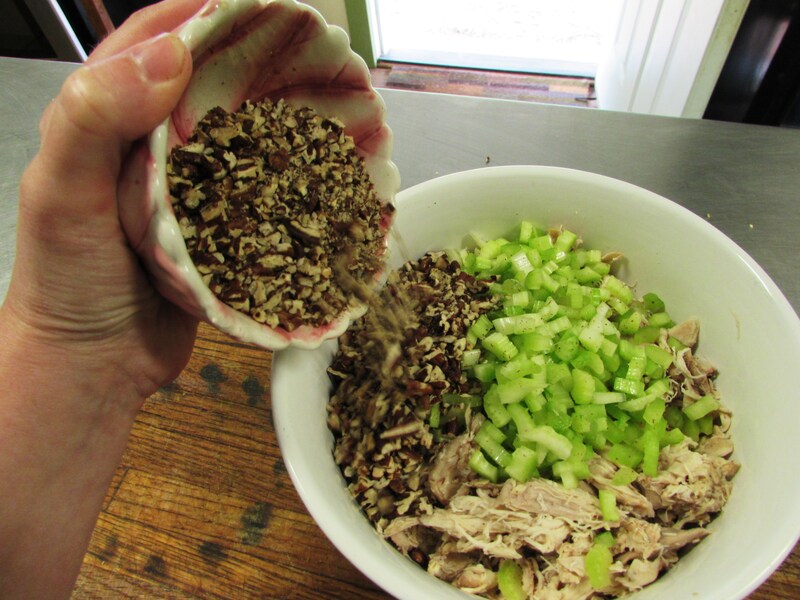 So you have the chicken in a bowl and while you chop the celery into nice little bits the pecans can be toasting in the oven. Of course you don’t HAVE to toast the pecans but if you choose not to please don’t tell me, thanks. 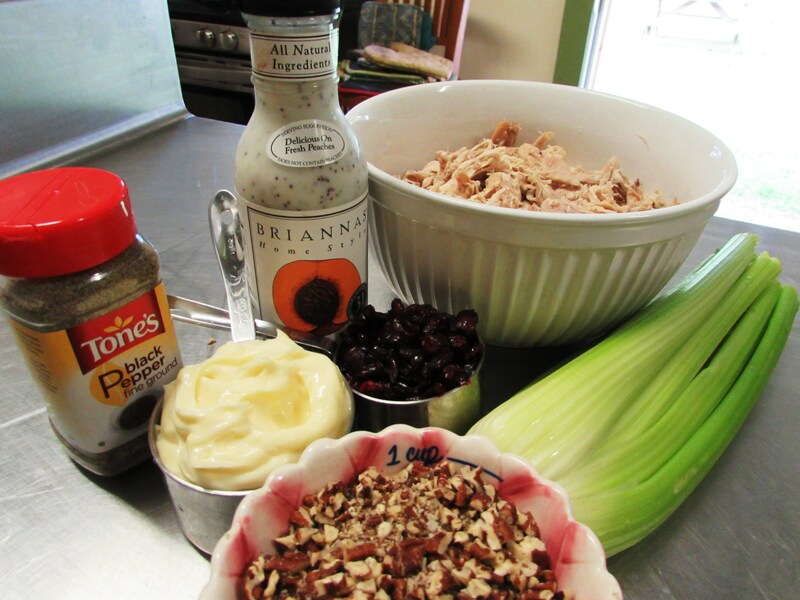 So you HAVE toasted the pecans, now chop’em up, add them to the chicken bowl along with the celery. Chop the Craisins up a bit then throw them in the mix, add the poppy seed dressing, mayo, black pepper and stir it up really well, give it a taste and add more pepper if needed. That’s all my friends! And the beauty of it is you can change anything you want and make it your own! 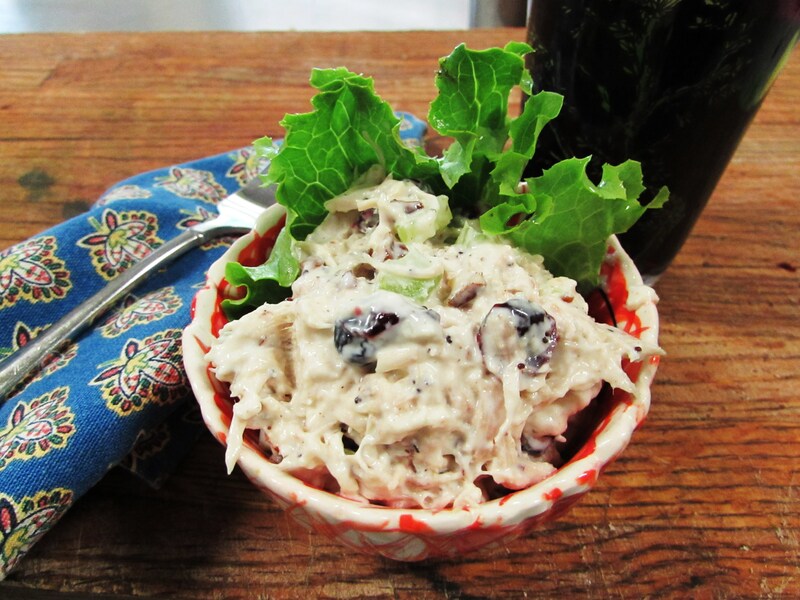 There is no ‘wrong’ way to make chicken salad! 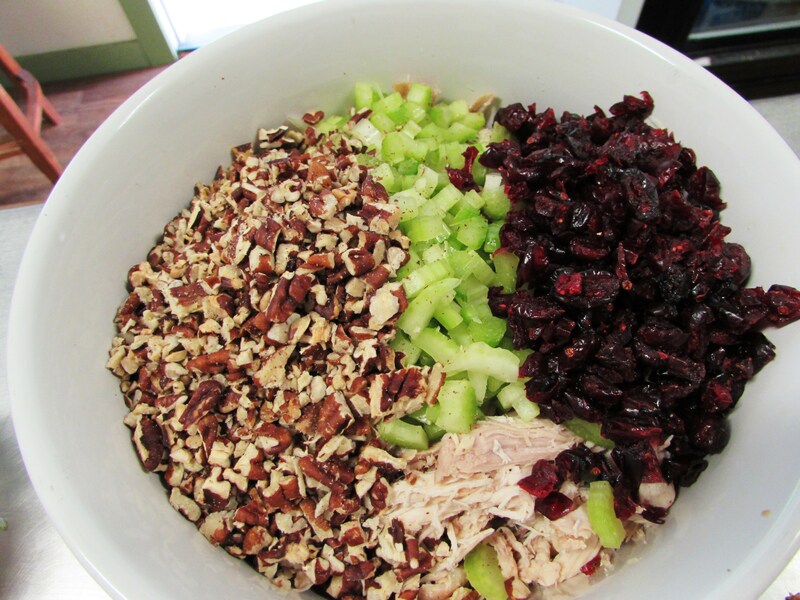 Mix everything in a large bowl until well blended, adding pepper to suit taste. Cover and store in the fridge for up to a week. Serve alone, with crackers, on croissants or toast. You can even roll it up in a pretty piece of leaf lettuce and look really fancy. Enjoy!